Hello there! Rachel here today and I have another humorous card for you following our theme for this month. 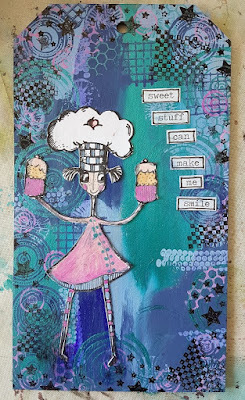 I have made a tag using a stamp from paperartsy - if you would like to see a step by step please pop over to my blog here! Great tag, Rachel!!! The background is awesome!!! Great tag - love it!